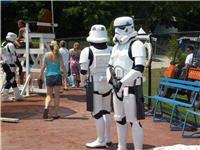 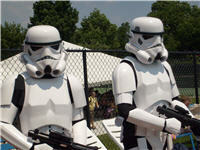 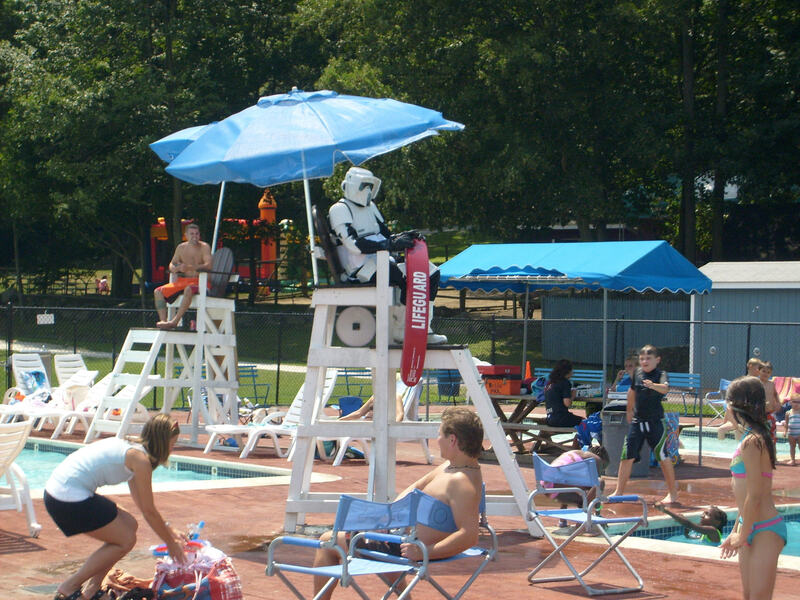 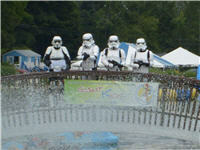 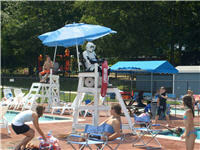 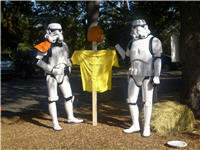 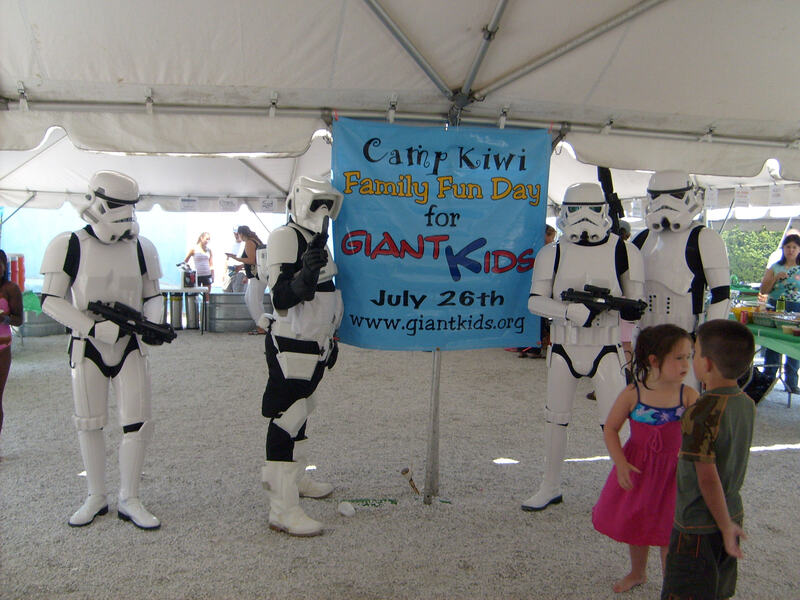 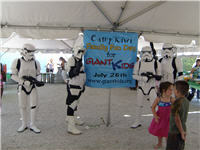 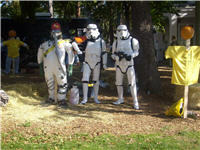 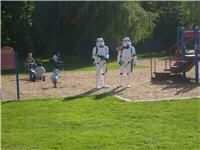 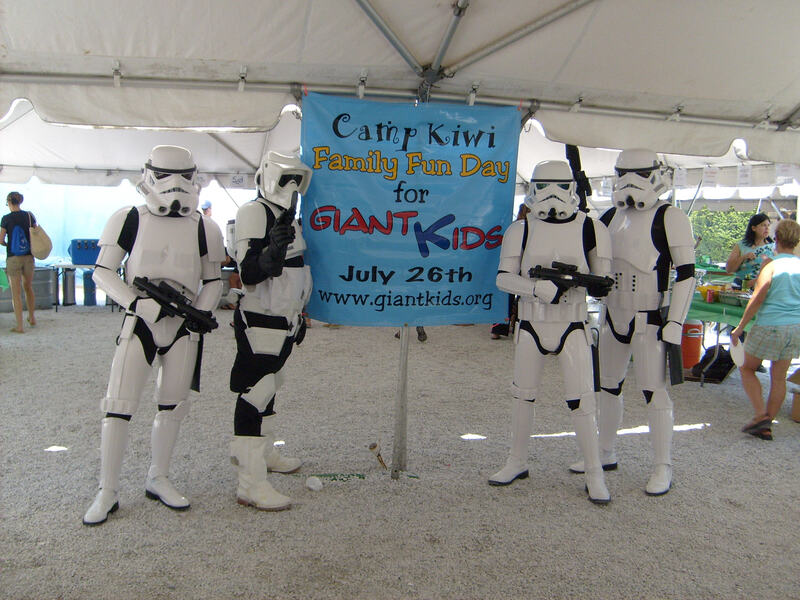 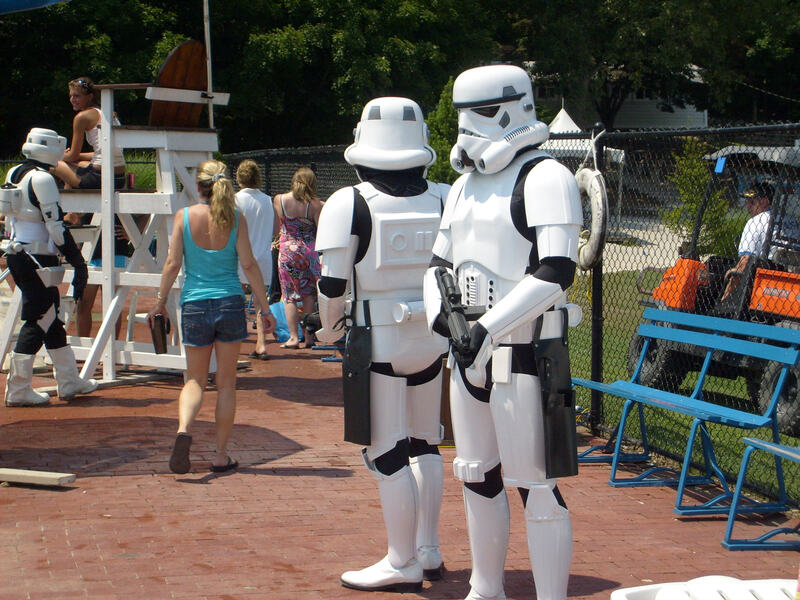 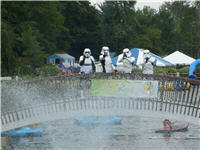 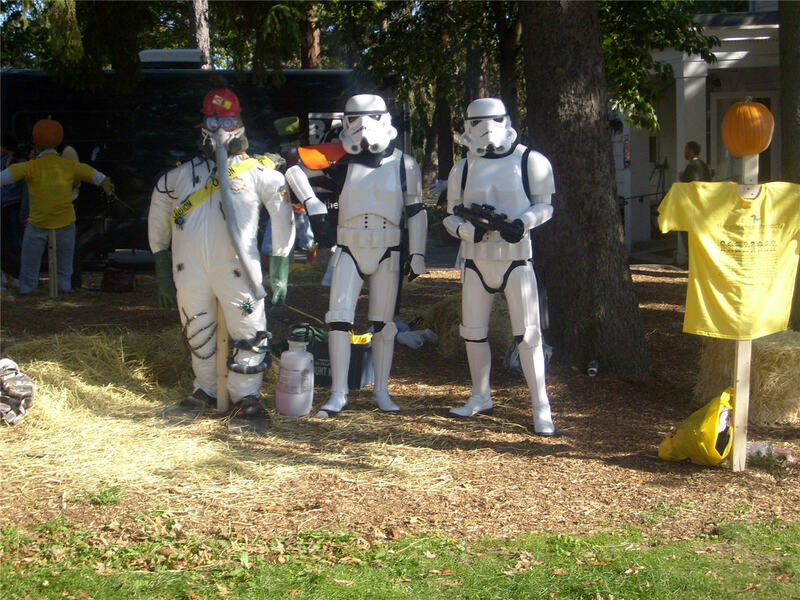 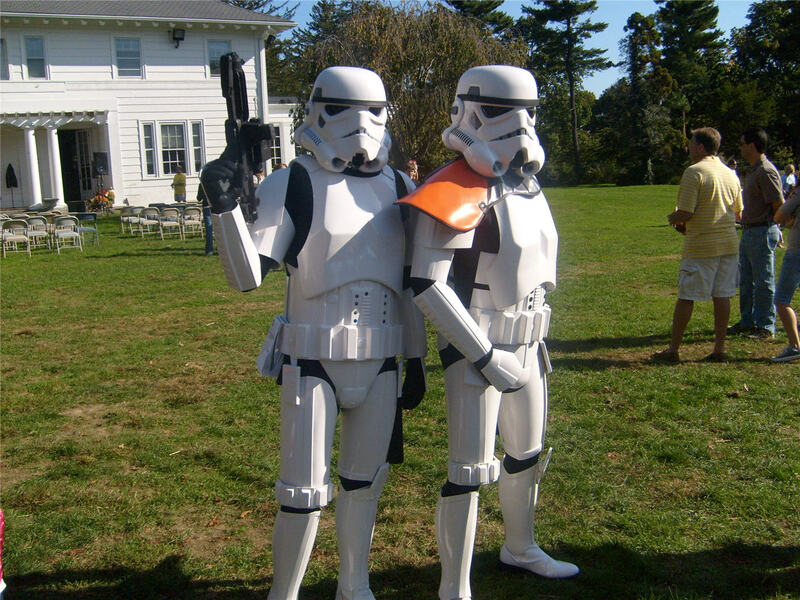 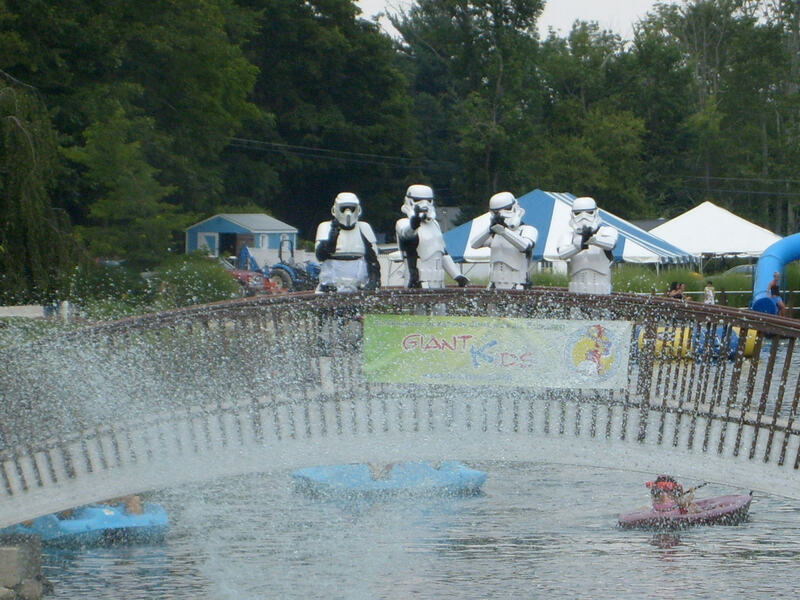 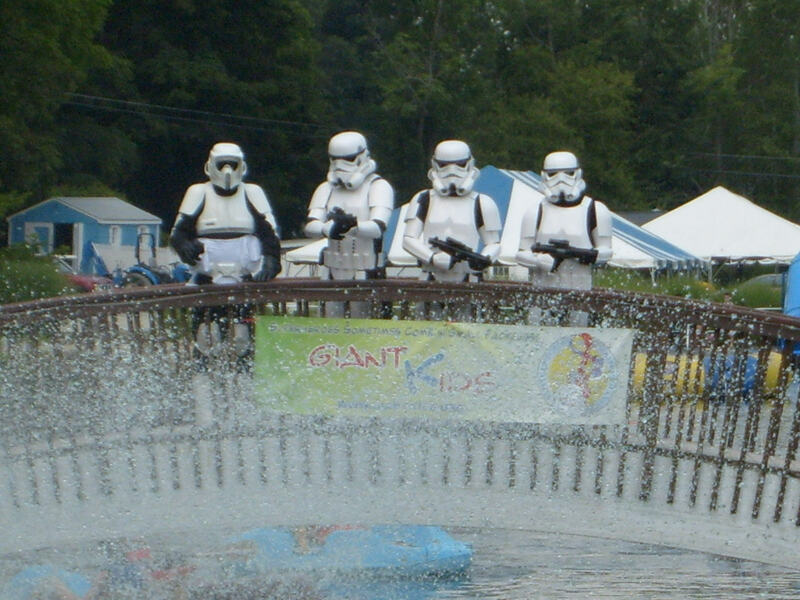 Below are some shots of my Stormtrooper armor in action at Camp Kiwi at a benefit for the Giant Kids organization. 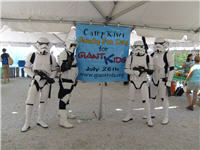 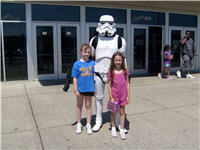 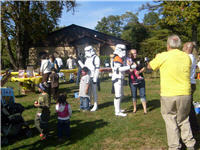 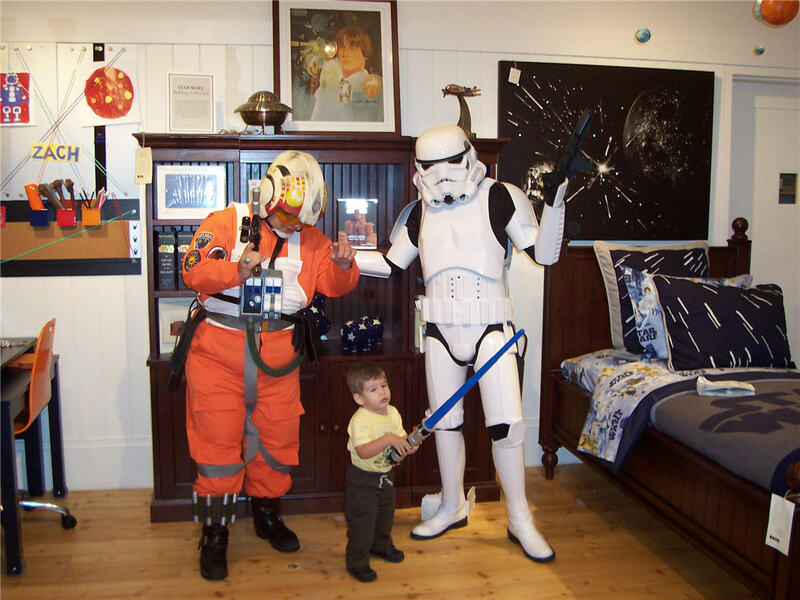 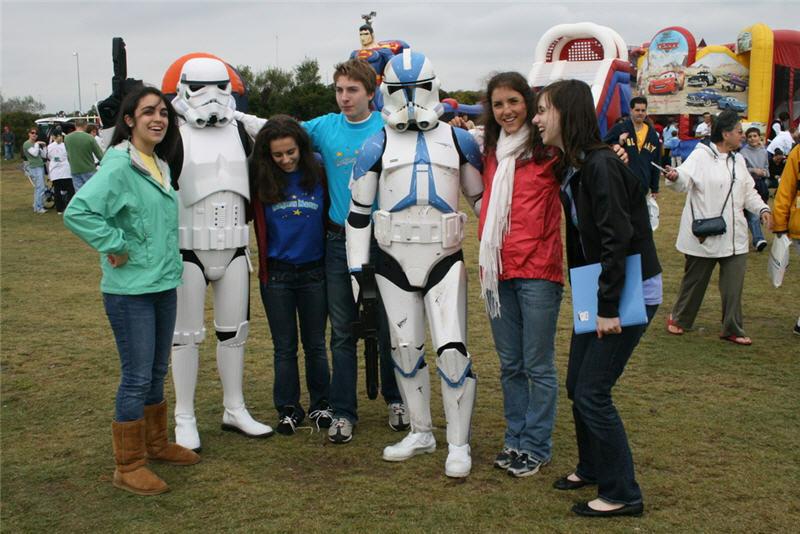 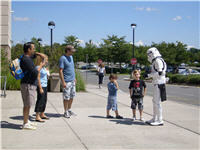 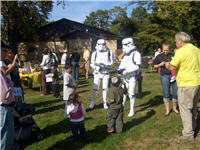 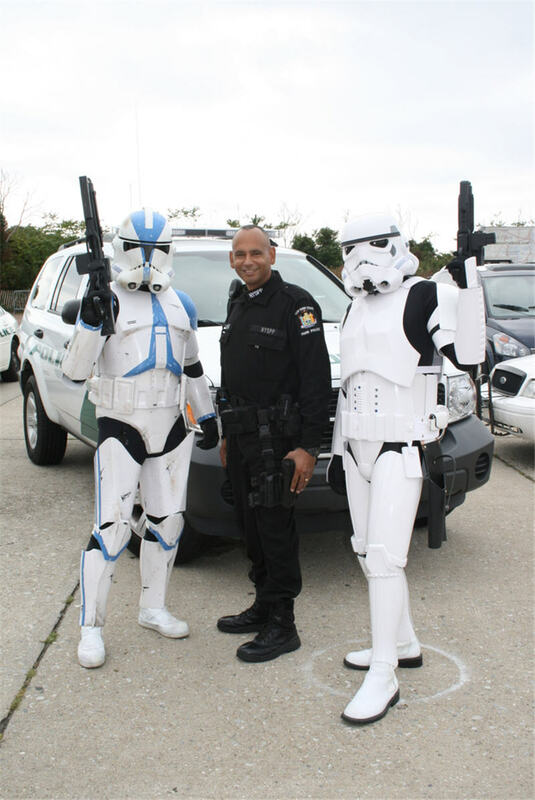 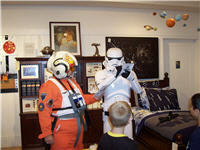 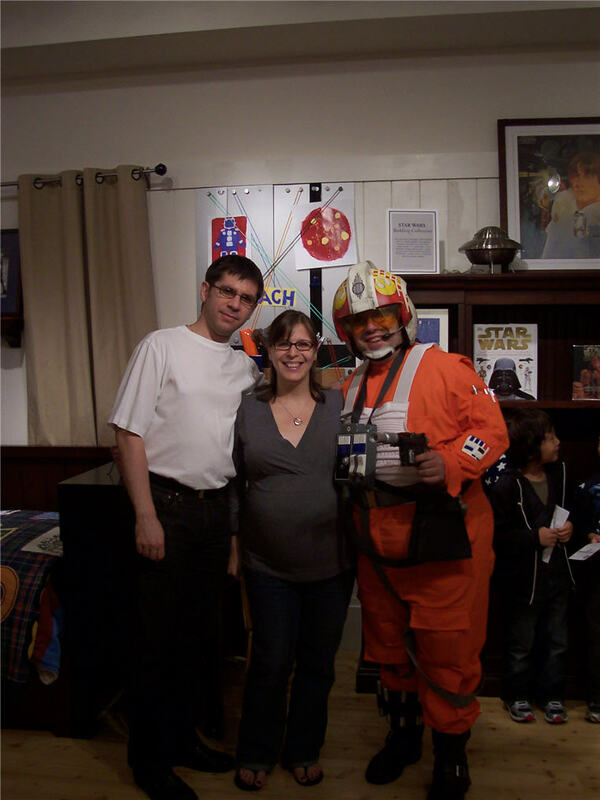 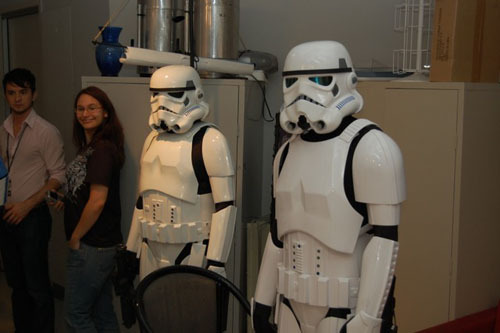 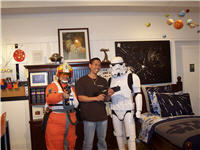 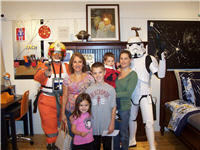 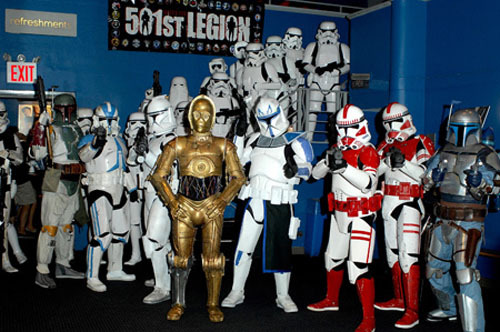 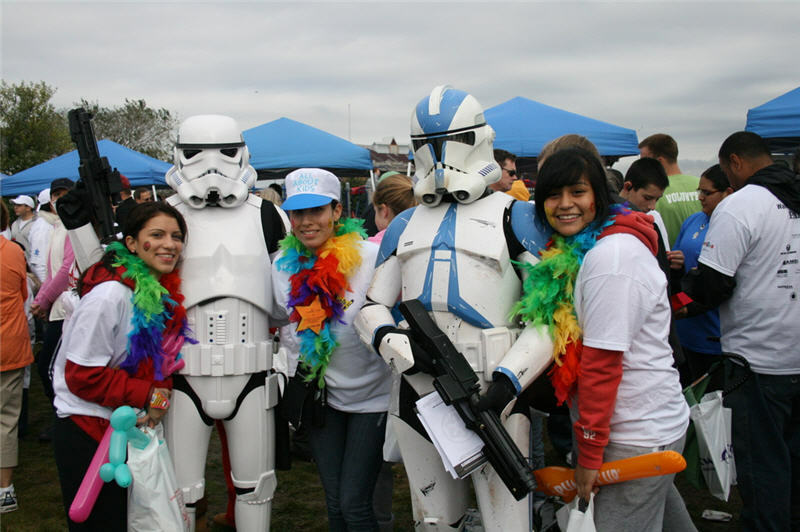 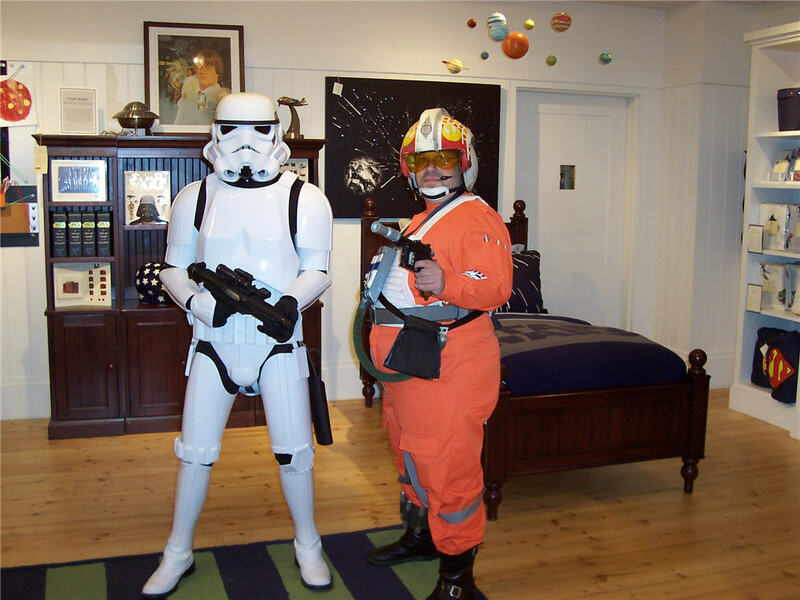 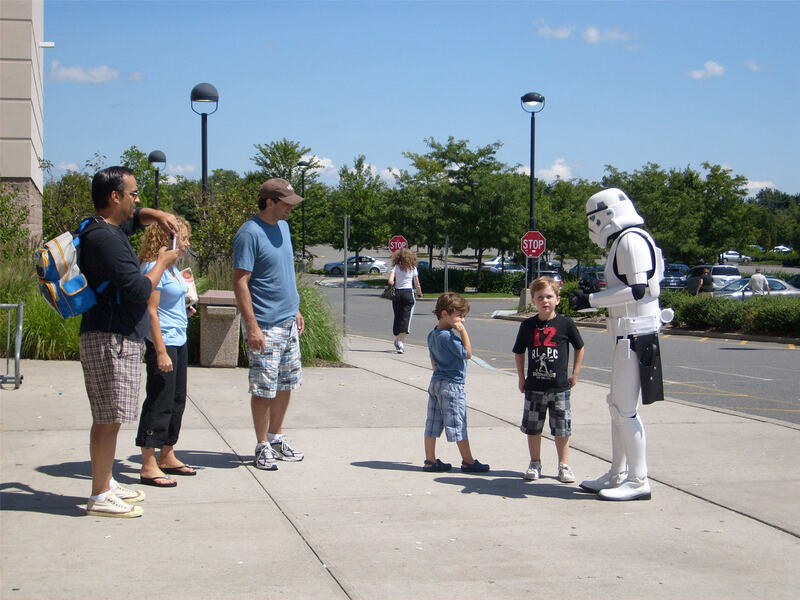 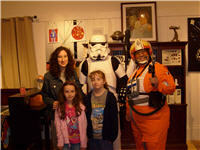 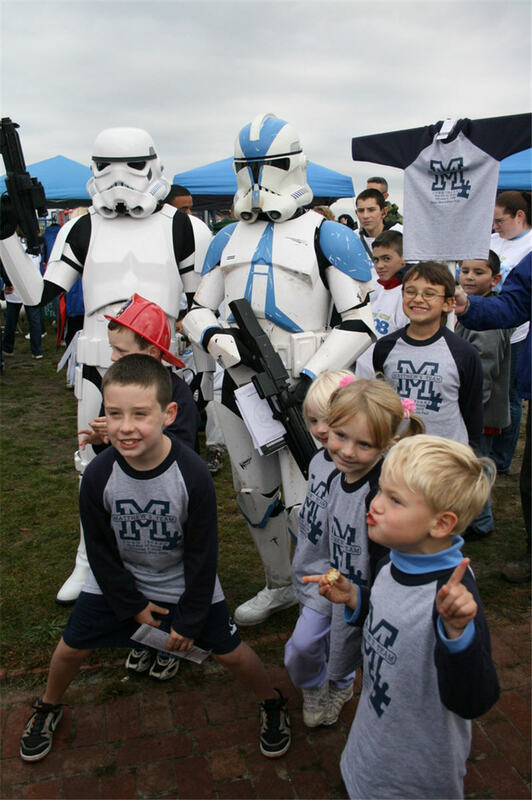 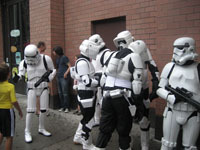 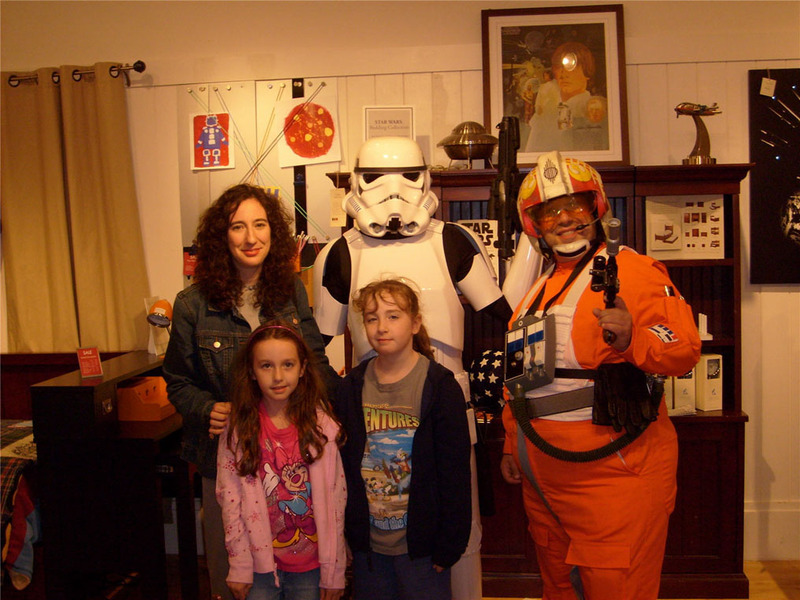 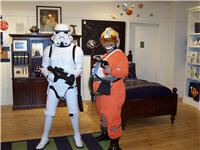 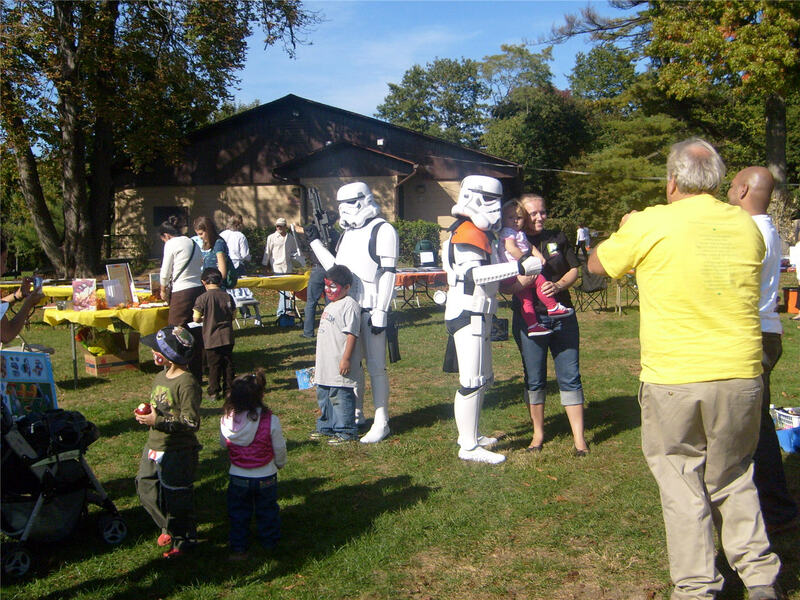 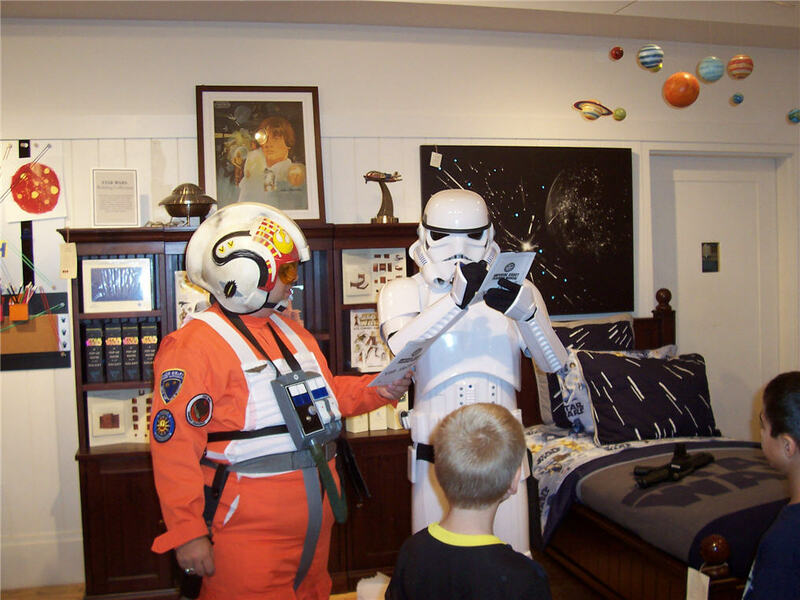 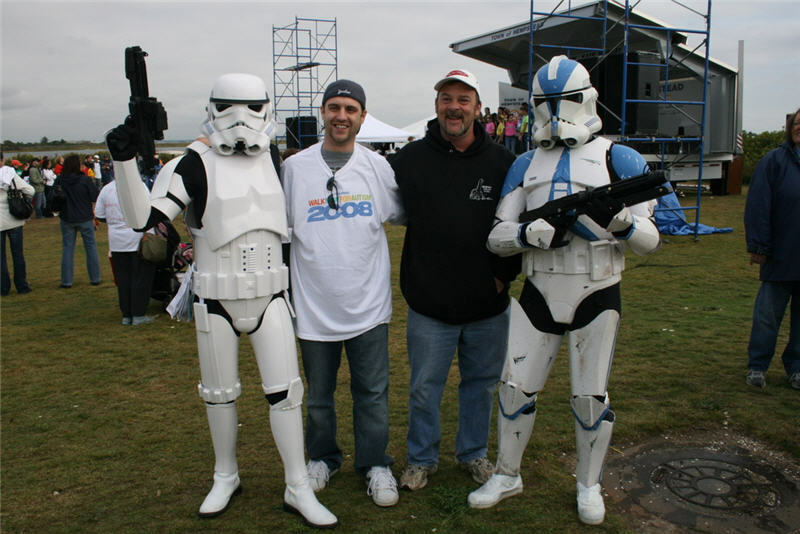 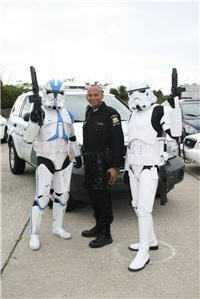 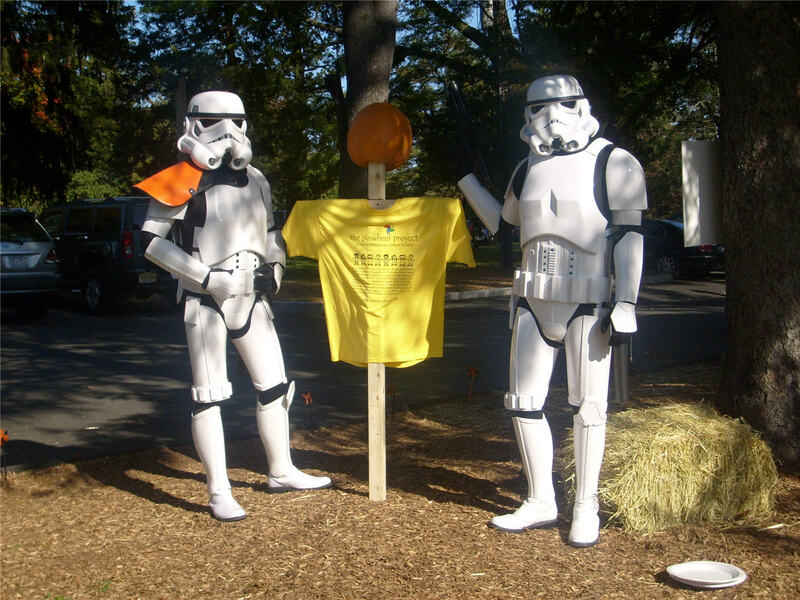 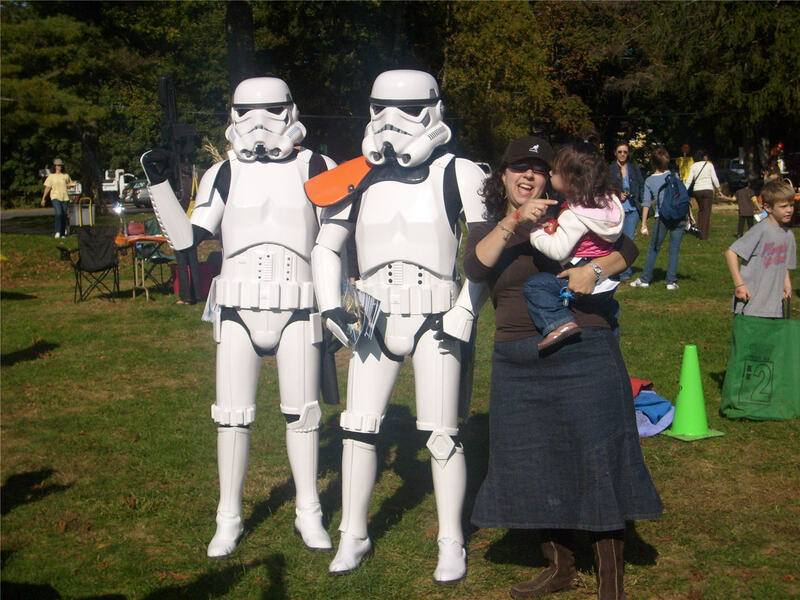 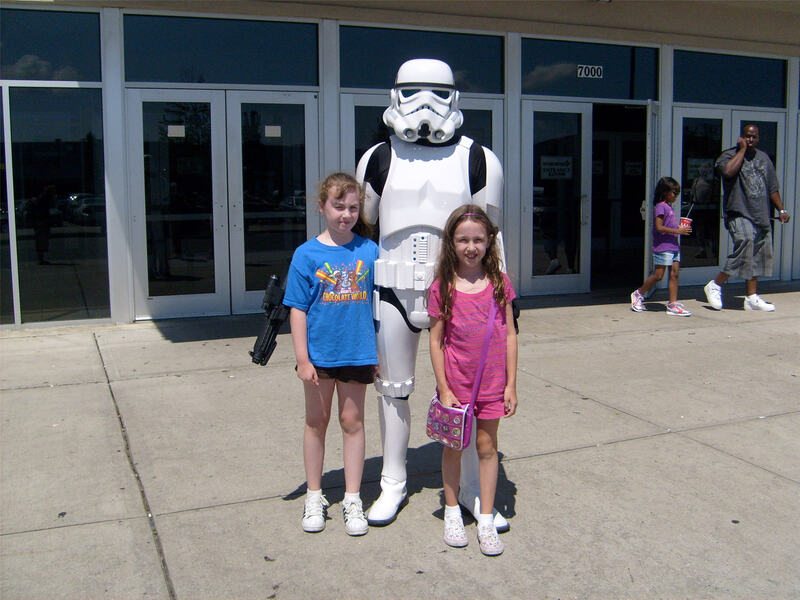 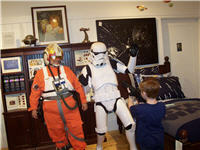 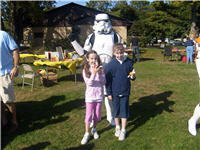 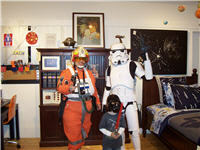 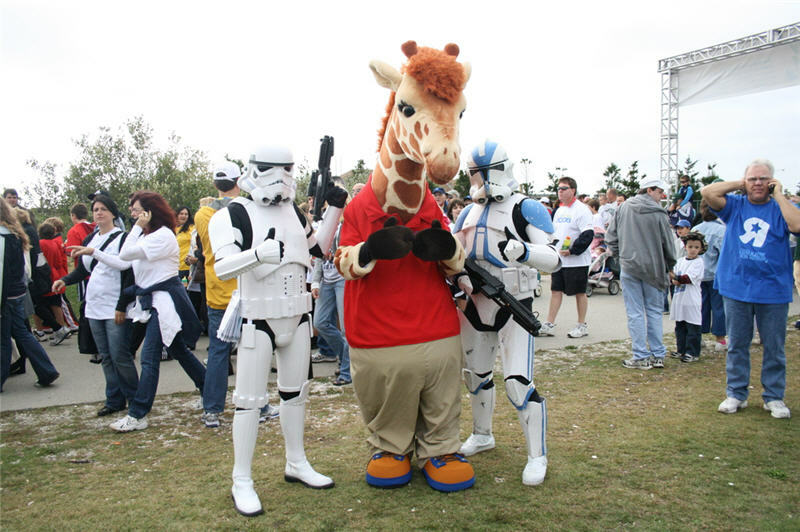 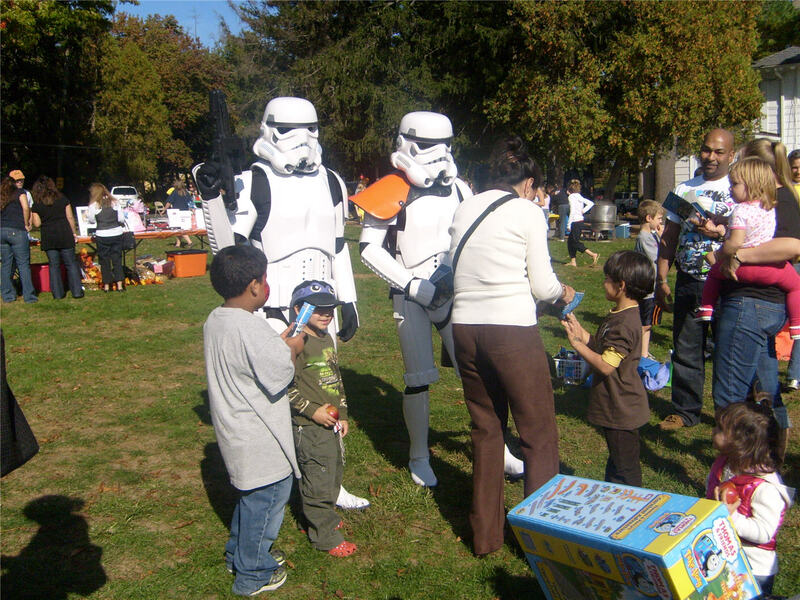 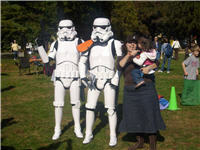 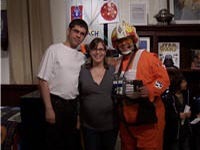 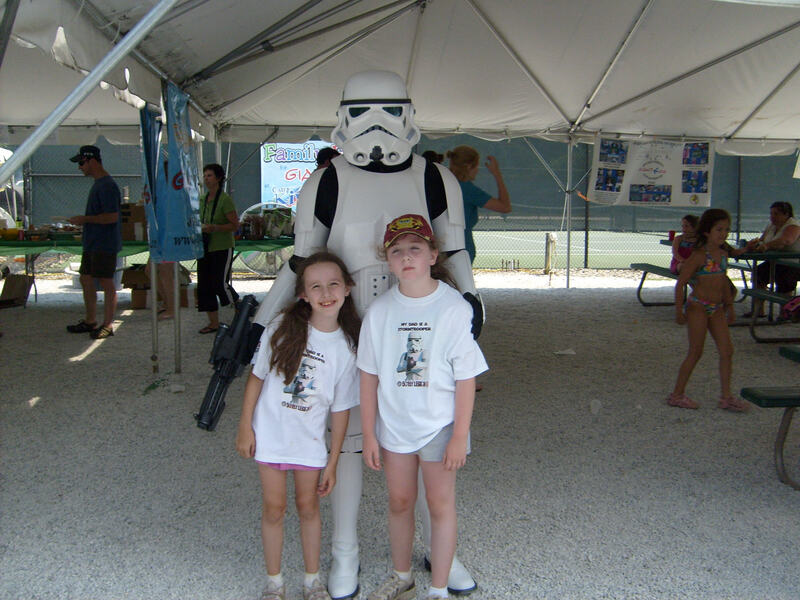 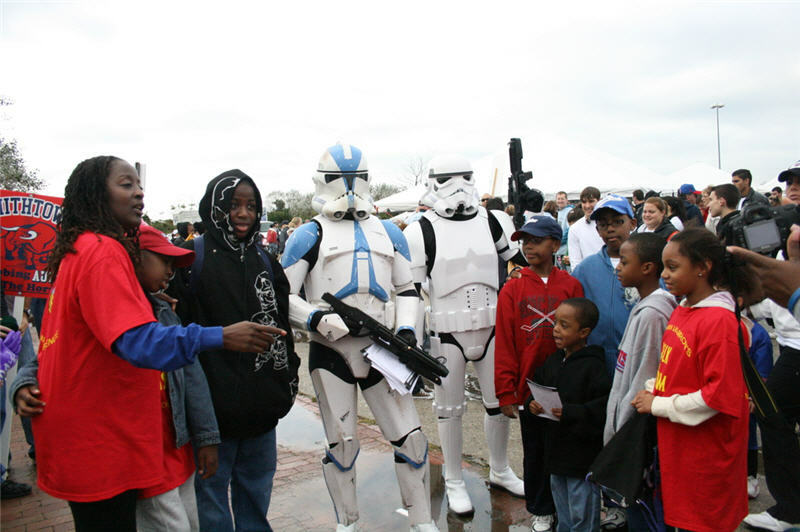 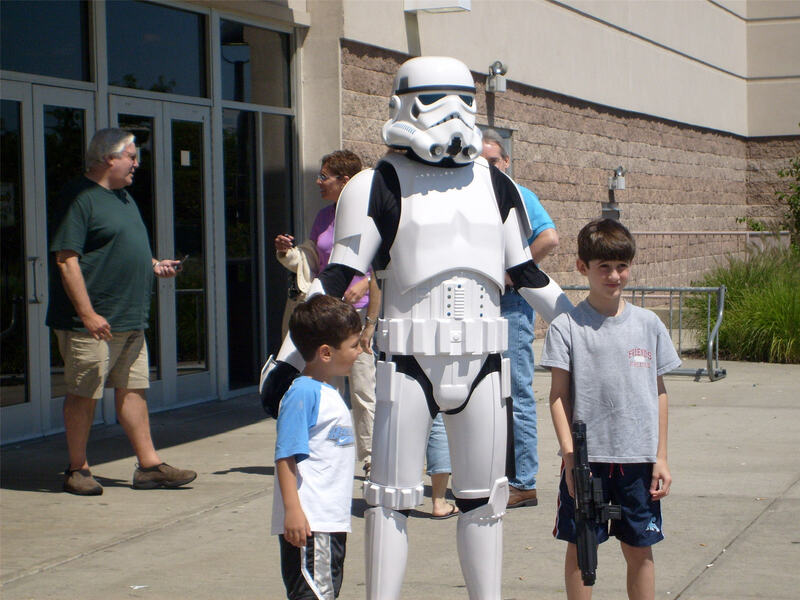 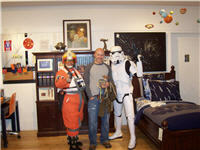 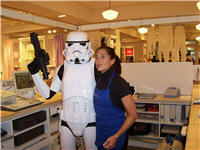 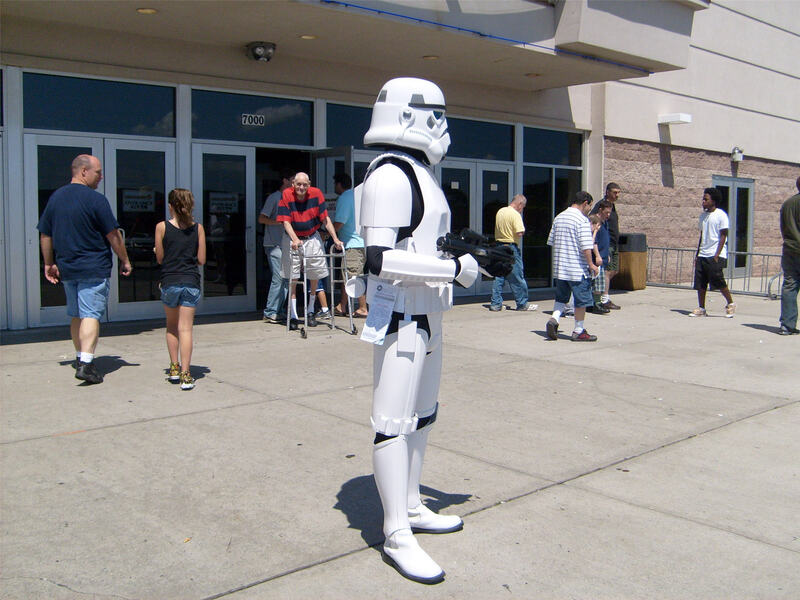 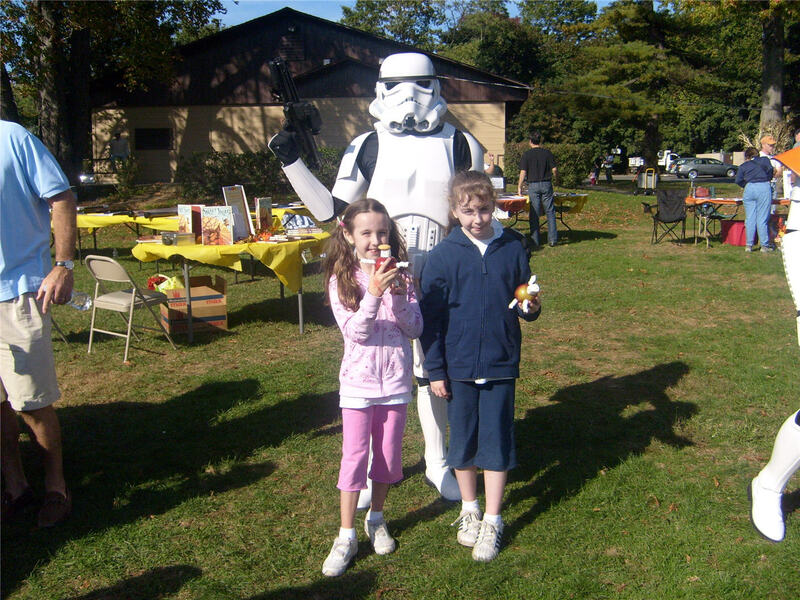 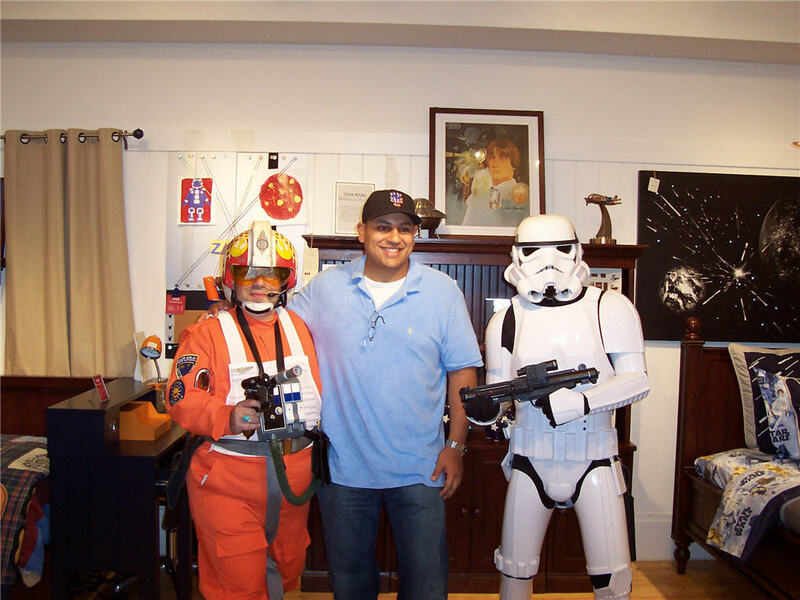 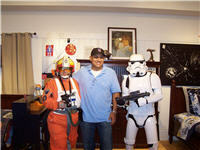 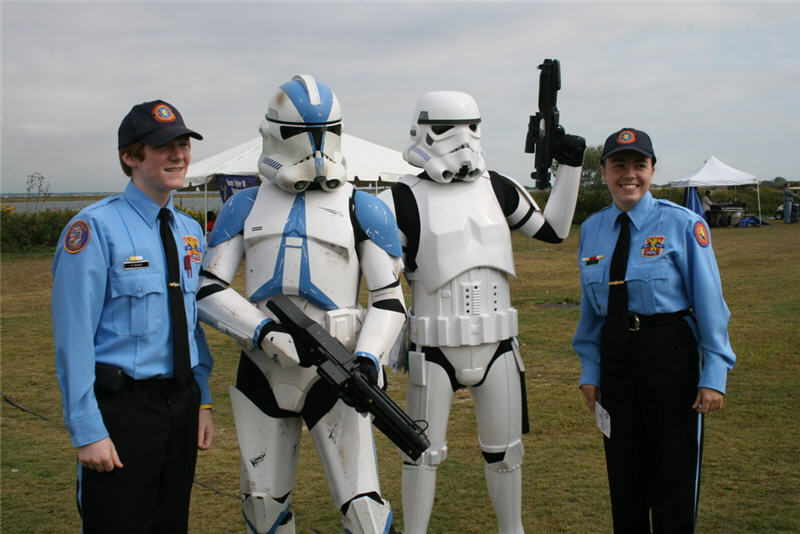 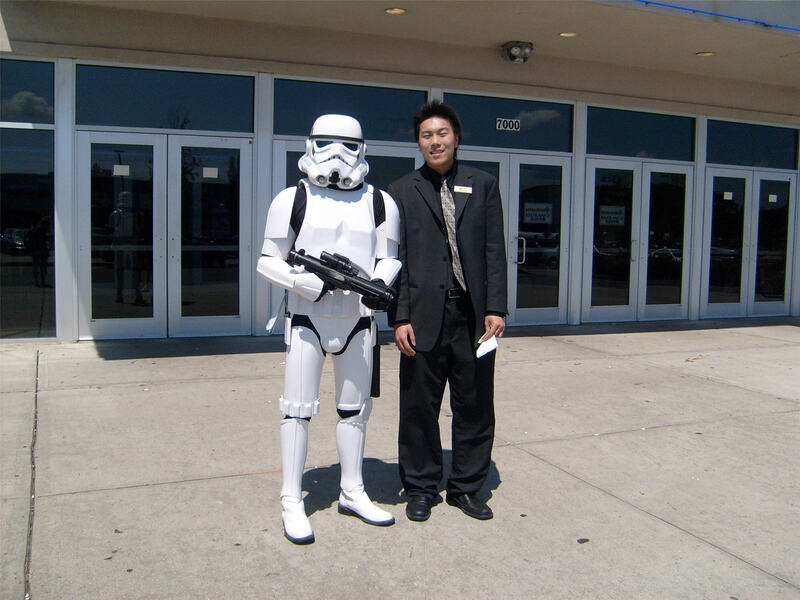 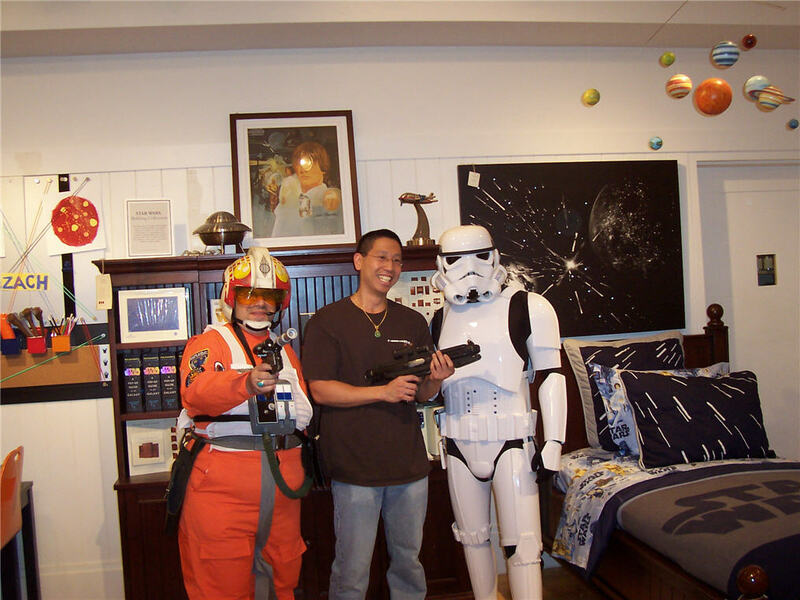 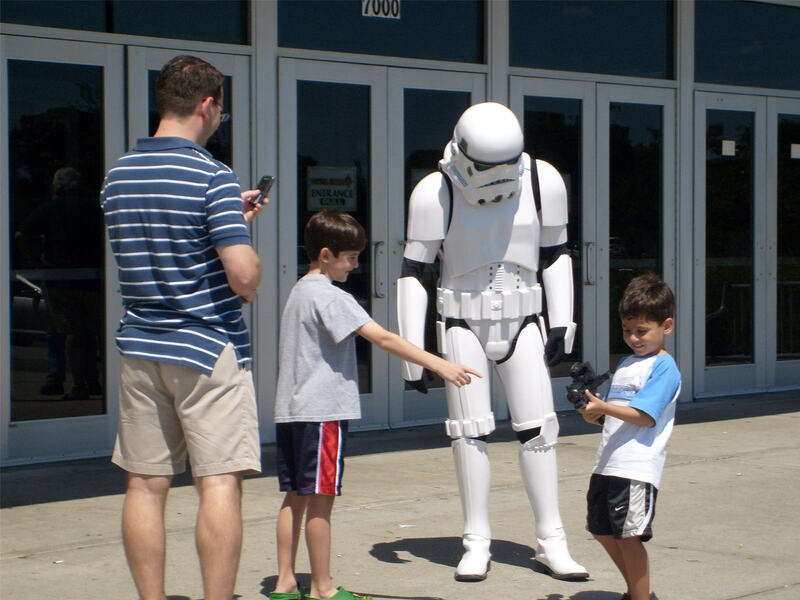 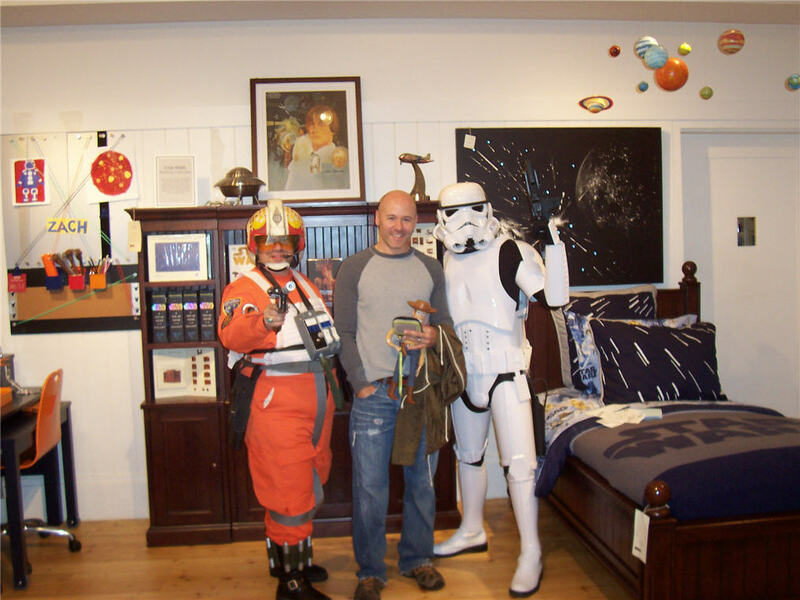 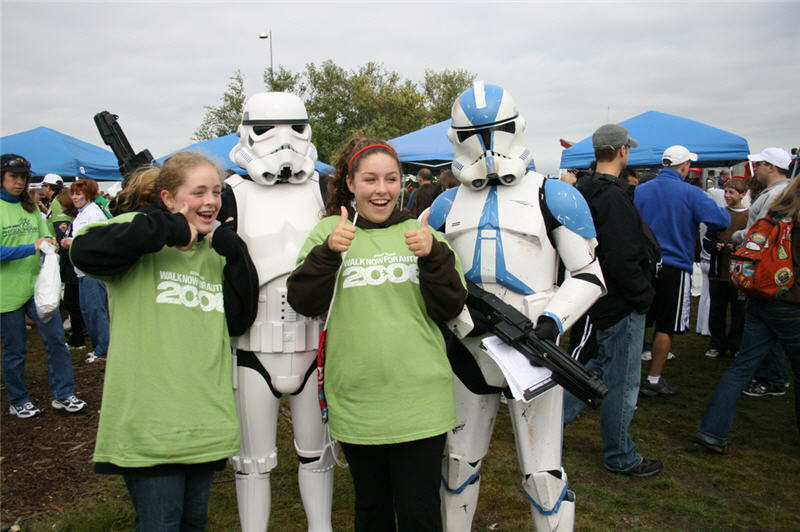 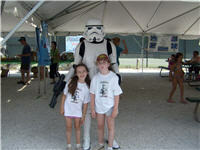 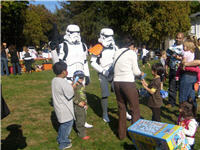 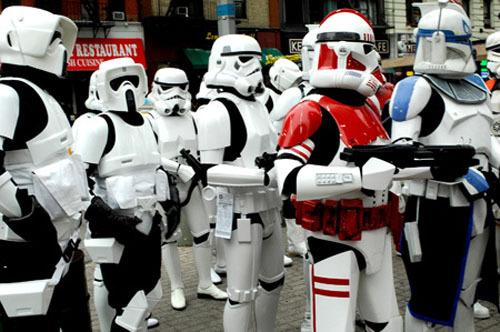 It was my first troop for charity and it was a great day for everyone. 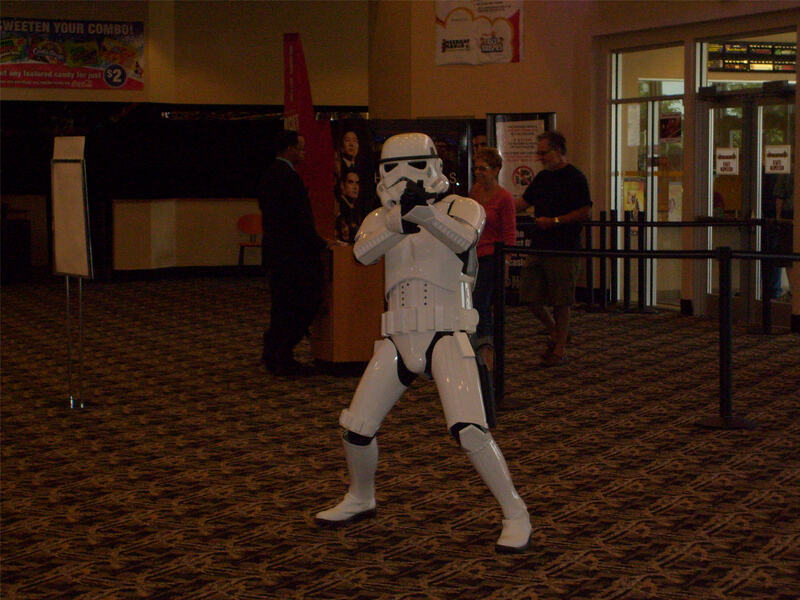 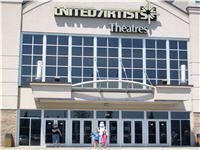 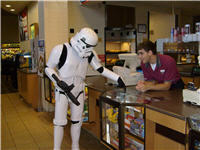 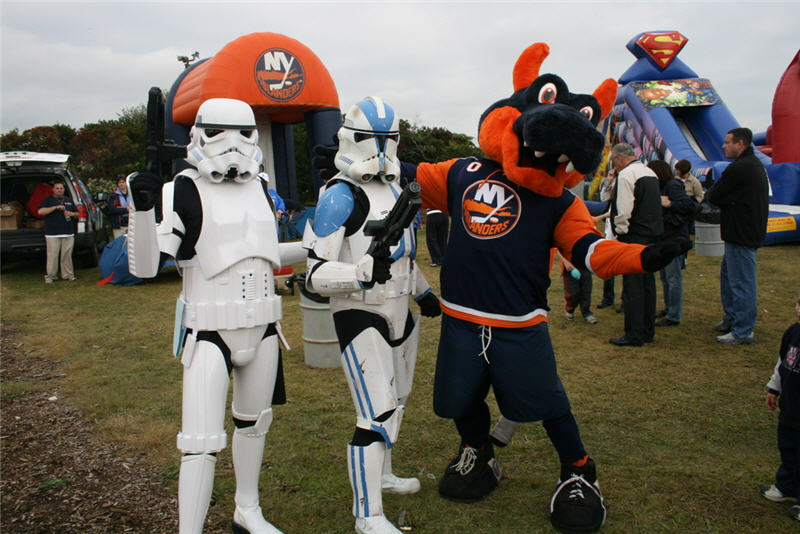 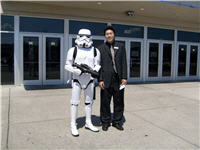 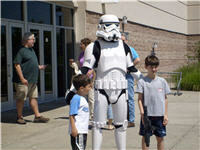 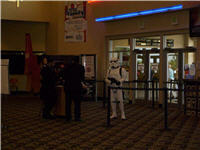 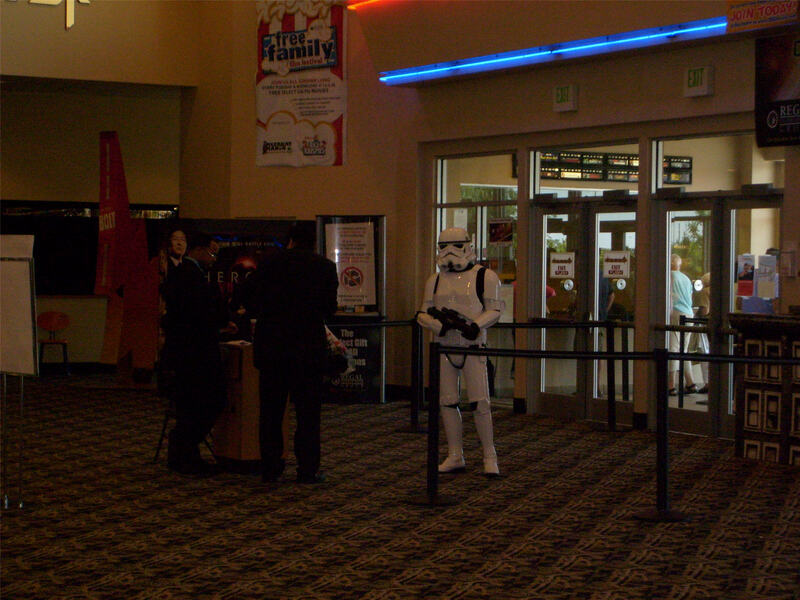 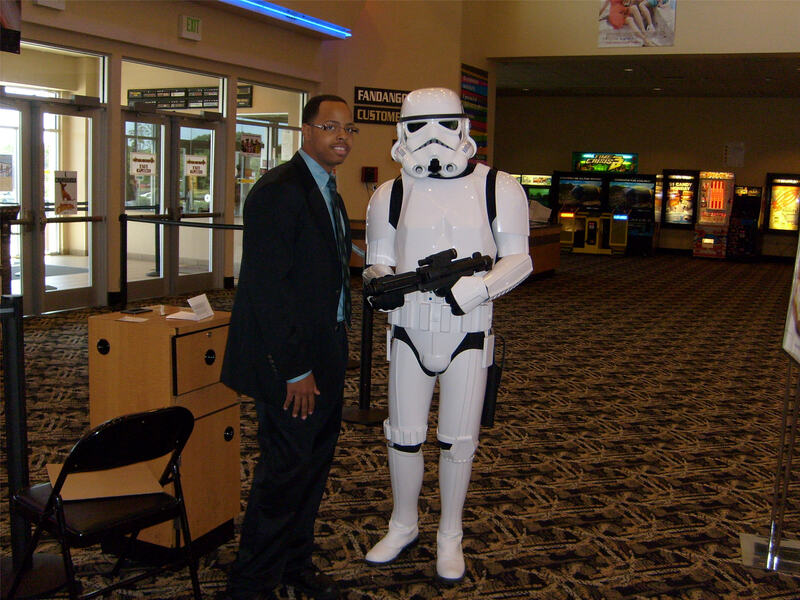 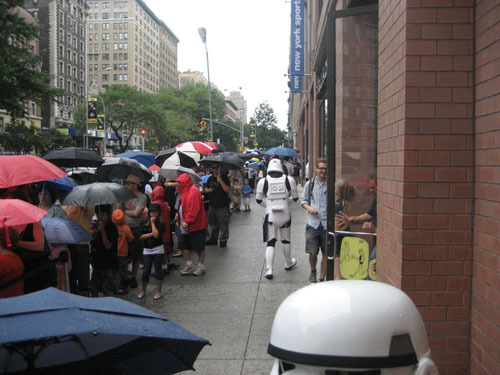 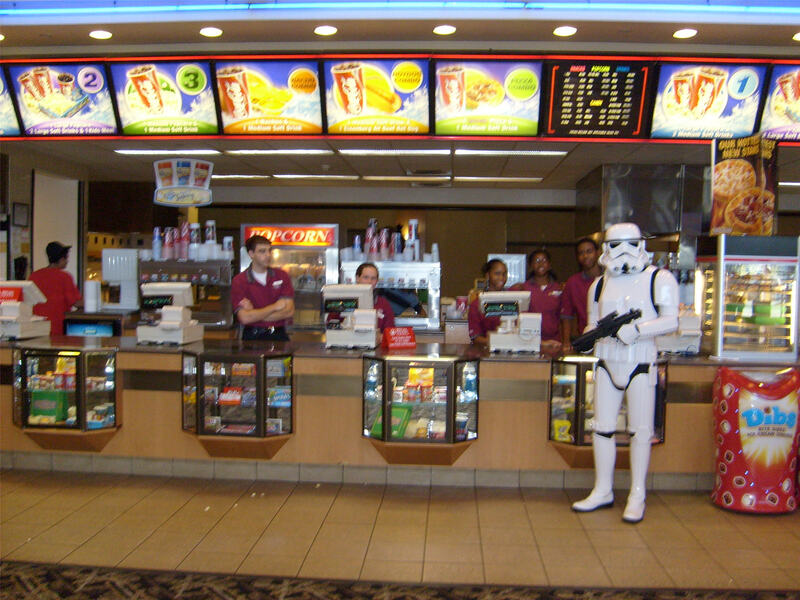 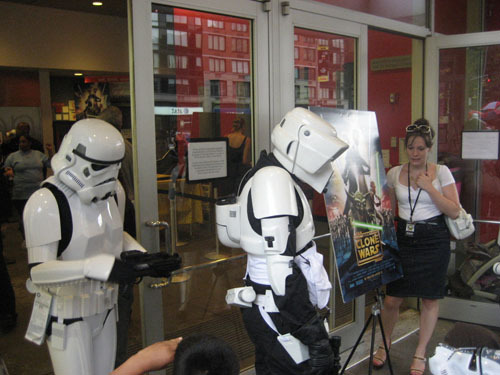 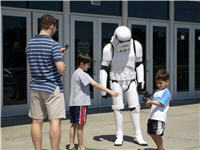 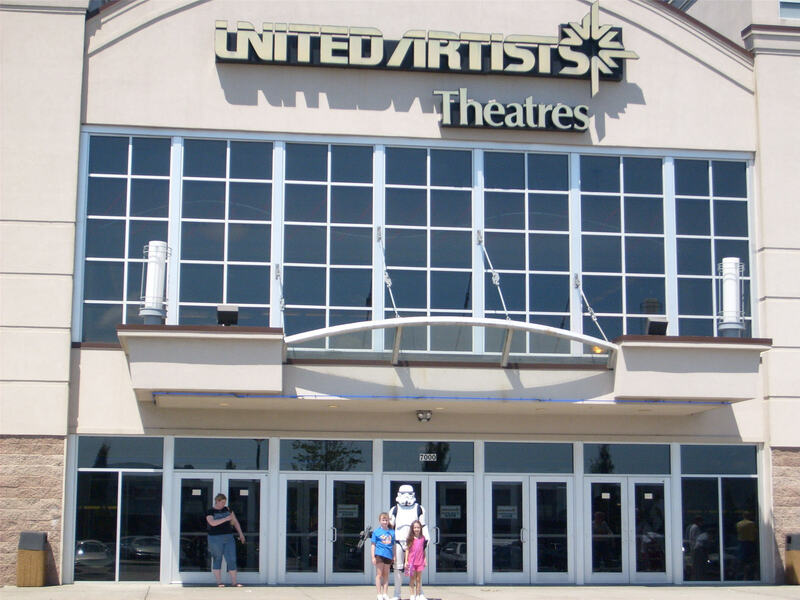 There are also some shots at the Clone Wars premier at Syphony Space in NYC and the Regal Stadium 12 in Westbury LI NY. 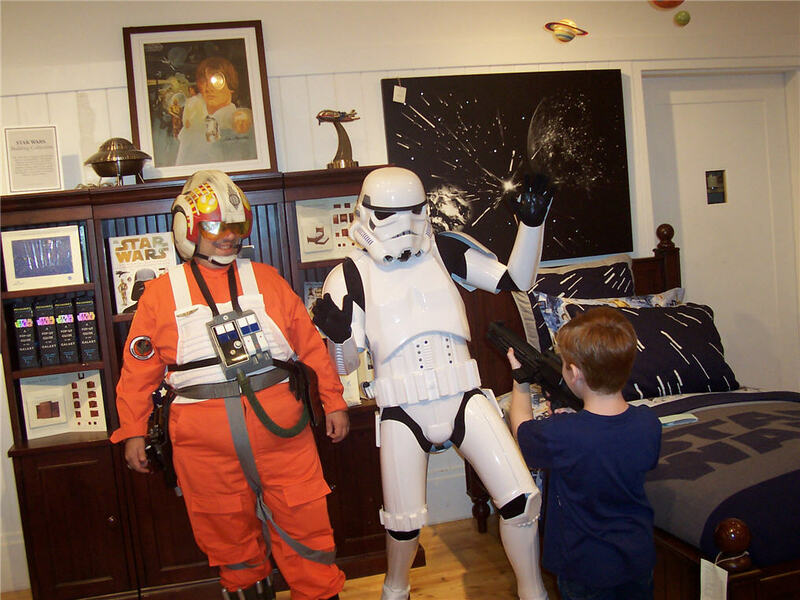 Next there are some shots from Pottery Barn Kids in Roosevelt Field Mall from September 27th, 2008. 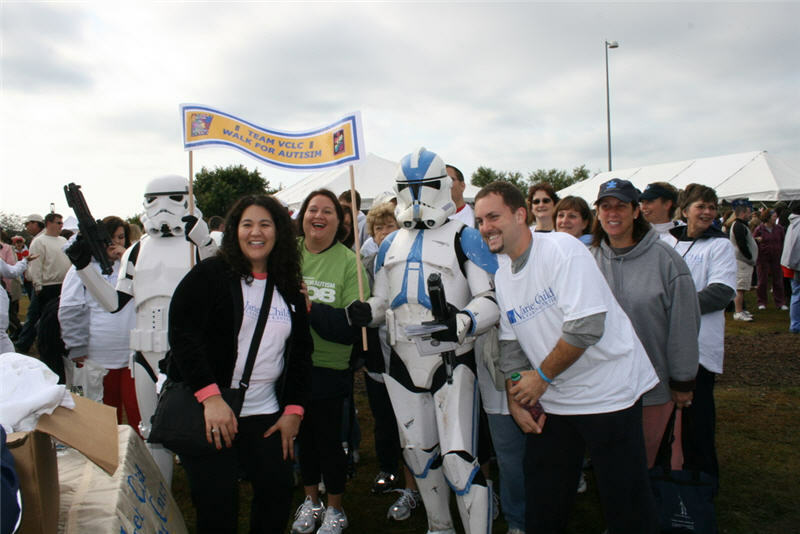 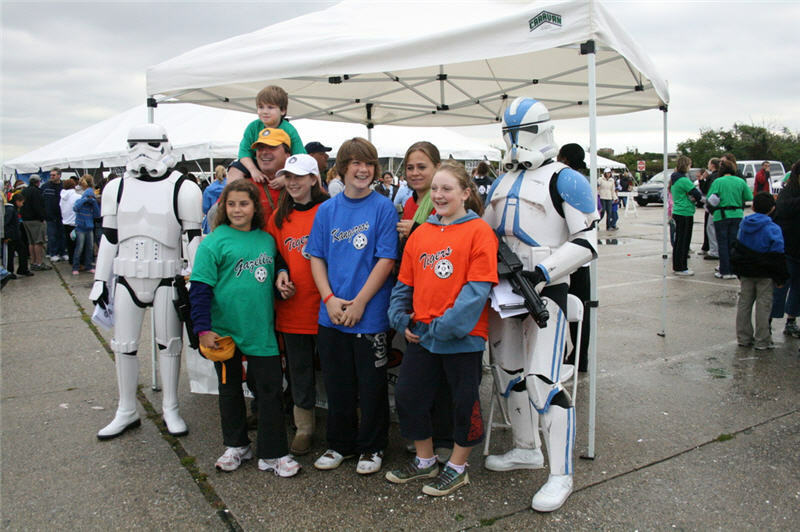 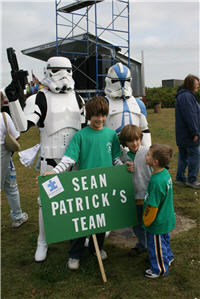 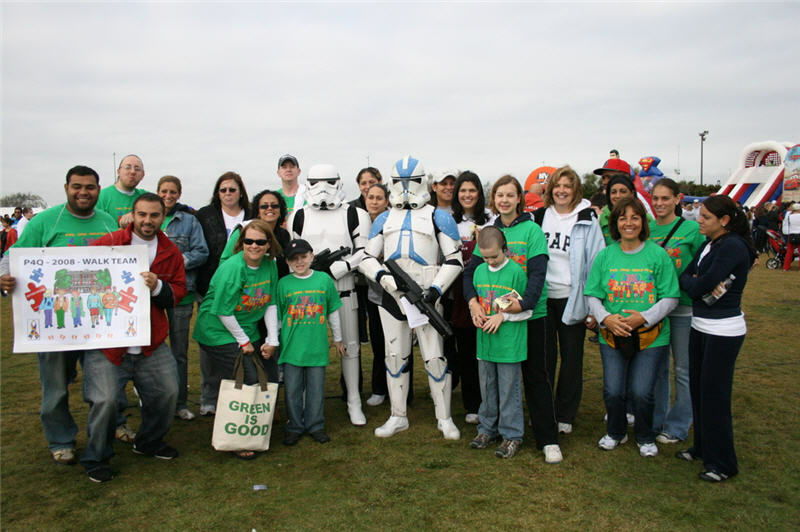 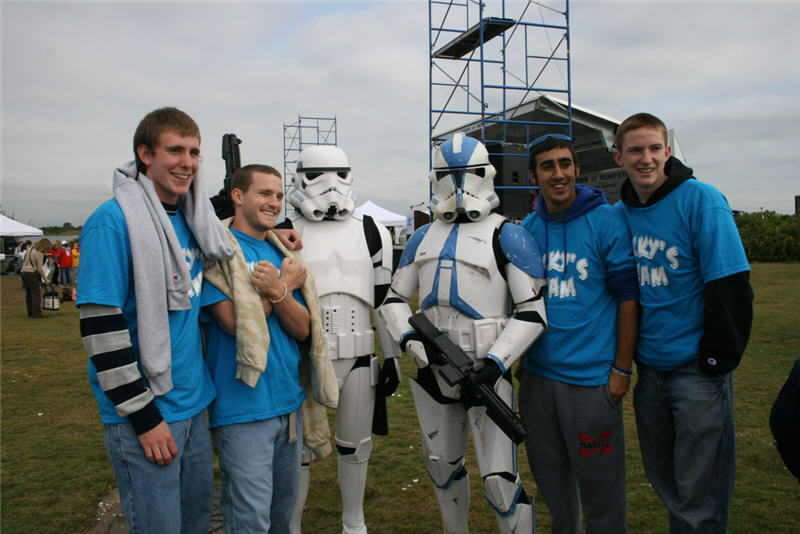 Next there are some shots of the Walk for Autism event at Jones Beach, LI on October 5th, 2008. 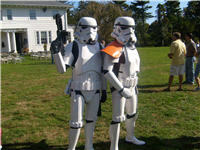 There are some shots from the Pinwheel Project fundraiser in Rye NY on October 12th, 2008. 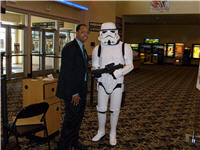 Check out Page 1, Page 3, Page 4, and Page 5 for some action shots at recent events I have attended in the armor. Check out Page 6 for details on some further upgrades to make the armor more movie accurate.